With a few spots of rain in the air around the 6pm, the session got underway at 6.25pm with some riders opting for their 1000cc bikes and others playing it safe on their Supersport machines. Michael Dunlop and Ian Hutchinson were first away, followed by Guy Martin and James Hillier, with all four on their Superbikes. 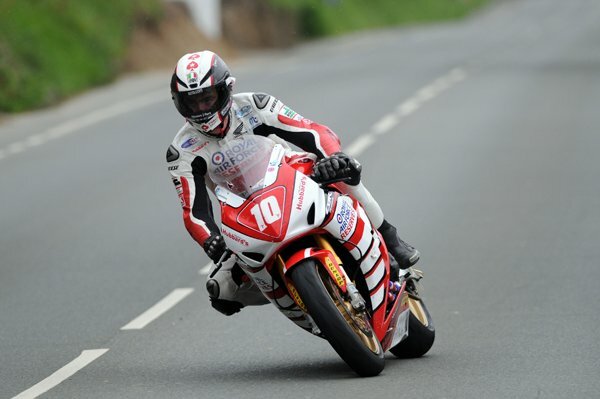 William Dunlop, Gary Johnson and Michael Rutter also chose their Superbikes but Conor Cummins opted for his Superstock Honda and Bruce Anstey, Keith Amor and Dan Kneen all took out their 600cc machines. Conditions on the opening lap proved to be fairly good with Michael Dunlop first back past the Grandstand at 128.690mph, just shy of his best lap set yesterday, while Guy Martin was also over 128mph. William Dunlop was next up at 127.911mph with Dean Harrison posting his personal best lap of the week so far at 126.521mph. 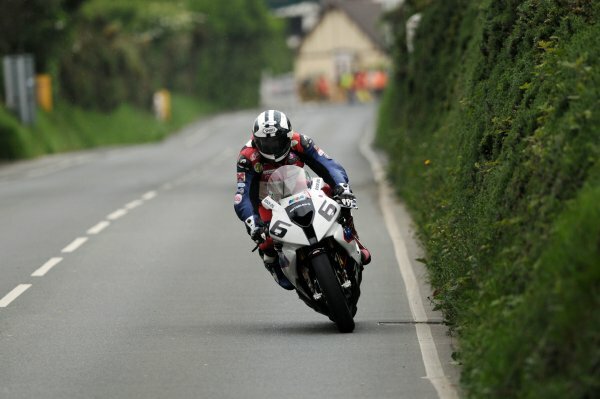 Michael Rutter, Ian Hutchinson and Dan Stewart were the only other three riders to break the 125mph mark whilst Johnson was out of luck retiring at Douglas Road Corner. The newcomers again posted good laps with six of them over the 110mph barrier – Peter Hickman (117.895), Martin Jessopp (115.607), Vick de Cooremeter (114.410), Phil Crowe (113.910), Alan Bonner (112.447) and Danny Webb (112.203), with Crowe and Webb both posting personal bests. Cummins was the quickest Superstock machine at 126.268mph with Anstey posting a speed of 123.127mph to top the Supersport time sheets but with rain falling, particularly from Ramsey onwards, John McGuinness completed a lap at 122.387mph and James Hillier at 121.527mph on their Superbikes, comfortably down on their speeds earlier in the week. Most riders opted to continue for a second lap but no sooner had they had done than the red flag was shown as a result of an incident that involved newcomer Laurent Hoffmann at the top of Barregarrow. Hoffman was airlifted to Nobles hospital where he was reported to have leg injuries and was undergoing further assessment. As the incident was being cleared, the rain began to get heavier in the north of the island and the evening’s action was called off just after 7.30pm.